Realtime Prices, Sentiment, Tweets, Scuttles, News and discussions on HyperSolar Inc. Hypersolar, Inc. is developing renewable hydrogen using sunlight and any source of water, including seawater and wastewater. Unlike hydrocarbon fuels, such as oil, coal and natural gas, where carbon dioxide and other contaminants are released into the atmosphere when used, hydrogen fuel usage produces pure water as the only byproduct. The Company’s technology includes HyperSolar H2Generator. Its nano-size particle is designed to mimic photosynthesis and contains a solar absorber that generates electrons from sunlight, as well as integrated cathode and anode areas to readily split water and transfer those electrons to the molecular bonds of hydrogen. The HyperSolar H2Generator consists of the following primary stages: Reactor Vessels, Hydrogen Compressor and Hydrogen Storage. The reactor vessels resemble transparent rectangular boxes containing water and billions of nanoparticles suspended in solution. 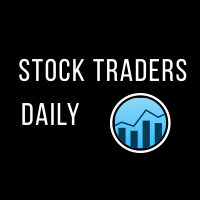 For a limited time get your FREE Stock Traders Daily report on HYSR. Get it now.